Walt Disney’s world has grown a bit larger since it acquired Pixar — the company behind hits like Finding Nemo and Monsters, Inc.
John Lasseter was instrumental in shaping Pixar’s success, directing films like Toy Story and Cars. He was a Southern California kid who grew up on Disney, and is now at the creative helm of both Walt Disney and Pixar Animation Studios. 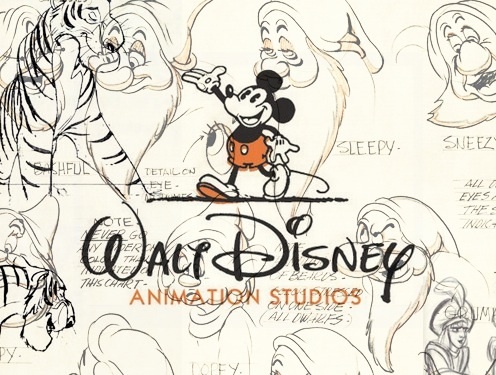 He spoke with NPR’s Renee Montagne about both the history and the future of Disney animation. “There was a period of time when they estimated the two biggest stars in Hollywood were Charlie Chaplin and Mickey Mouse,” he says. [Walt Disney] came up with an all animated series called Oswald The Lucky Rabbit, and that was a big hit. But the one problem is he did not own the copyright to that, and that character was stolen from him. And he was determined after that never to create anything that he did not own. And the next character was Mickey Mouse. Everybody thought that cartoons were these funny little shorts that came before the main feature. Walt had a vision that animation could entertain an audience for a feature-length film, and everyone thought he was crazy. And in Snow White and the Seven Dwarves, there’s a scene, after Snow White has bitten the poison apple, and the dwarves have her on the bed, and she’s laying there, and all they are is crying. And when that happened … everyone was weeping in the theater. And they could not believe they were weeping and crying at a cartoon. And when Snow White came out it was the No. 1 movie of that year. And it was a real revolution you know, in Hollywood. I loved cartoons. Even when it was uncool to like cartoons, when you’re supposed to be getting into kind of, girls and sports and stuff in high school, I still ran home to watch the cartoons after school. And when I was a freshman in high school I read a book called The Art of Animation and it talked about how Walt Disney made animated films, and it dawned on me that people actually make cartoons for a living. You got paid to make cartoons. I thought, “That’s what I want to do!” And then I started writing to the Disney studio as a freshman in high school. And they wrote back and they invited me over and I remember going through — 16 years old — driving the family car over to Burbank and getting a tour through the Disney studio. One of the things that I was so excited about [at] Disney, and what Walt Disney did, was he always was pushing the technology. And when I was a young animator here at Disney in the late ’70s, early ’80s, I saw the beginnings of computers making pictures. And I thought, this is what Walt had been waiting for. A way to get more dimensionality. But at Disney at that time, they were not interested in it. And so I actually ended up getting fired because I kept pushing so hard they didn’t want to hear it anymore. And I always looked at it as, that these computers, these programs, are the tools, no different than the pencil and paper I was trained to animate with. That’s people writing that don’t know what they’re talking about. We have a tremendous group of talented people at both studios. Pete Docter, one of my partners who made Toy Story with me, he did Monsters, Inc. and Up, and his new movie called Inside Out, it’s the next Pixar film, is one of the most original films we’ve ever made. It’s set inside the head of a 13-year-old girl and the characters are her emotions. That studio is so on fire right now. We have a lot of great ideas on the boards. Yes, we really love female characters, but we want them to be strong. You know, even though they’re quote-on-quote “princesses,” since 2006 we’ve made The Princess and the Frog, which is Tiana, [she] doesn’t start out as a princess, she starts out wanting to own a restaurant to follow her father’s dream in New Orleans. Then we made Tangled which is Rapunzel. You know she’s not waiting around for some guy to come save her. Up at Pixar we did Brave and that is about as strong of a female character. Even though they may have a “princess” in the title or [be] put under that category, they’re far, far from it. Even though I may have five sons, I have a very strong wife. I have been making these movies with her in mind, my two nieces in mind. Gone are the days when we’re going to have a princess waiting around for a guy to show up and save her. Daily. There will always be technical advances but it’s really how the filmmakers and the artists use that technology to entertain audiences in new ways. You know, it’s really the story and the characters that really inspire people. And you just want people to sort of get swept away in these stories and not think about anything until the credits start rolling.